It is excruciating to walk through a market thrumming with the sights, sounds and aromas of food, and not have the stomach to take it all in. By the mouth, that is. Agonised note to self: Skip breakfast the next time you are out on a food tour. 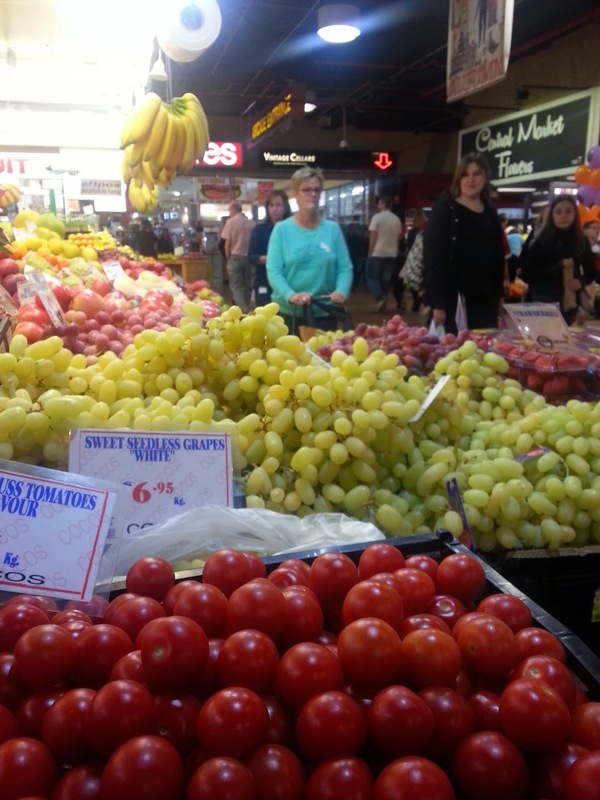 Snapshots from this morning’s walk through Adelaide’s Central Market with Mark Gleeson and Cheryl Turner. The wrath of grapes. 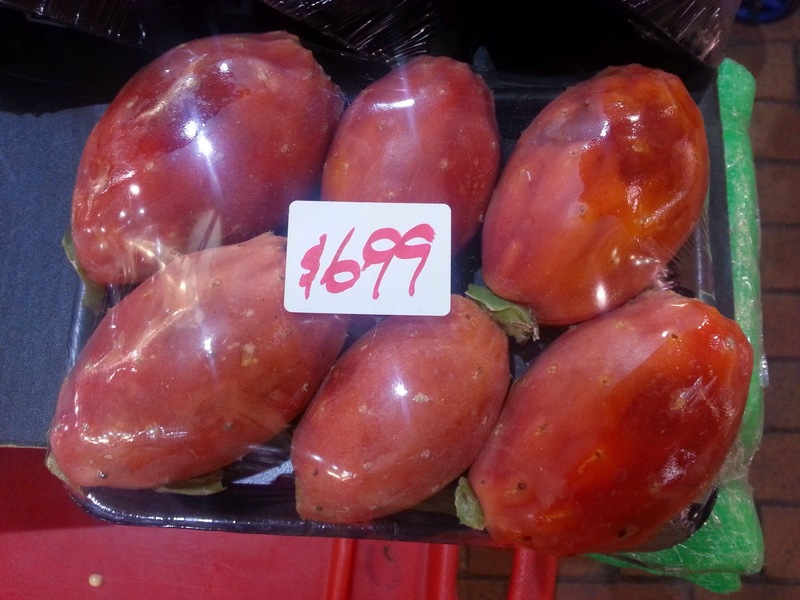 Tantalising the pomologist in every frugivore, a world of fruit at Central Market, Adelaide. Strange fruit. The world arrives here, fresher and cheaper than at a supermarket. 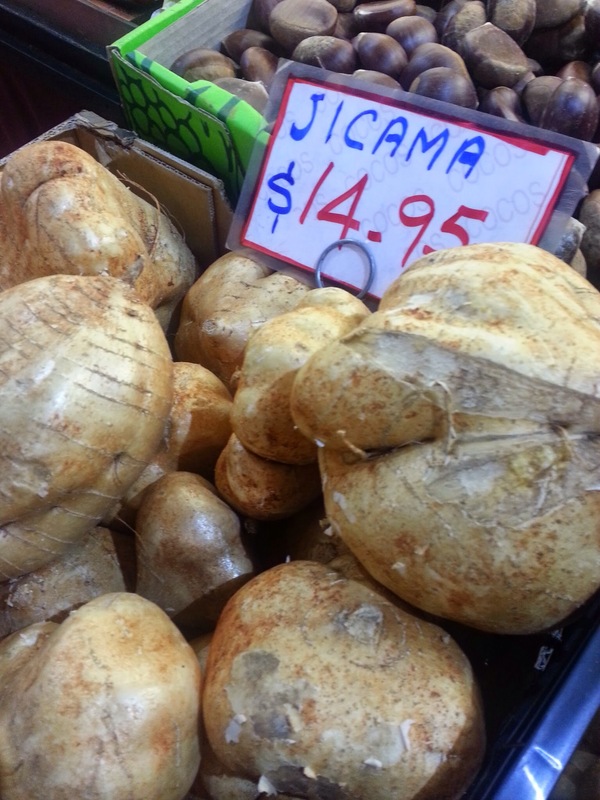 This Jicama, a tuber favoured in Southeast Asian cooking, is also known as sweet turnip or yam bean. Don’t think you’ve got the hang of it yet. To complicate that imagery, the Asian lady at the shop selling it said it tastes like pear. Talking of pears, this here is the fruit of the cactus that answers to the name of Prickly Pear. Once considered a nefarious invasive species in Australia, it was bounty-hunted to near-eradication, so much so that a memorial to this feat stands in Dalby, Queensland. As with other invasive species such as rabbits and goats, it is eaten. What a good idea! 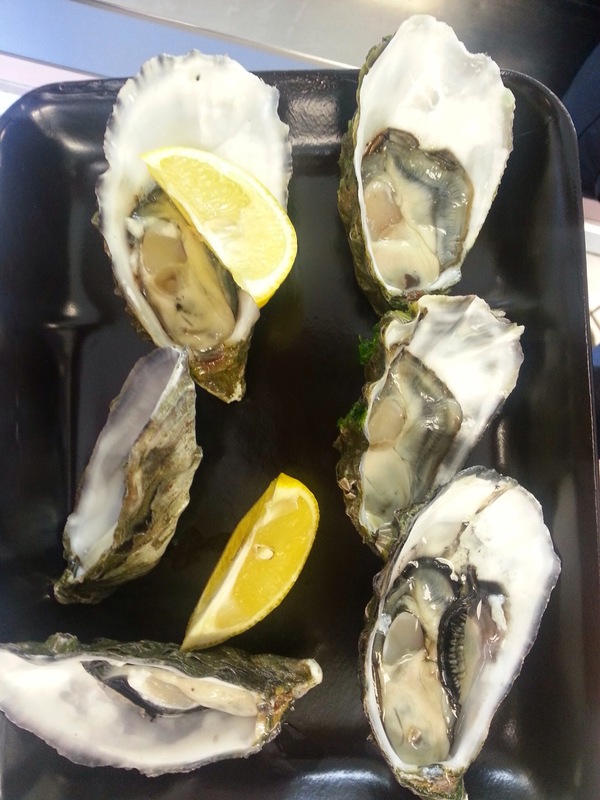 Cheryl, by now confessing to being an unwitting but far from unwilling hand-model, splits a Finger Lime down the middle, spilling a cluster of bubble-like vesicles that, when eaten, explode in a tang of delicately balanced tartness that reminds us of tequila and, bless this thought, oysters! 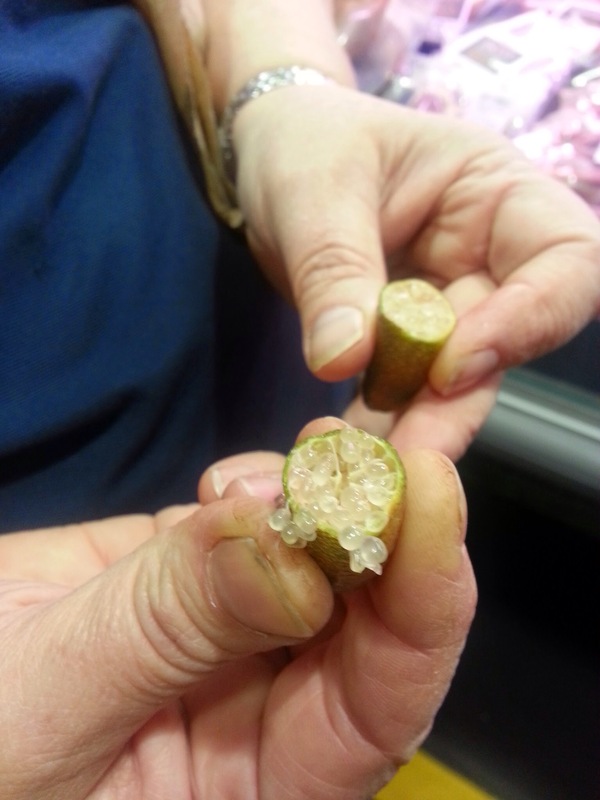 Growers identify this Australian fruit as Microcitrus australasica. To see food is merely the half of it. 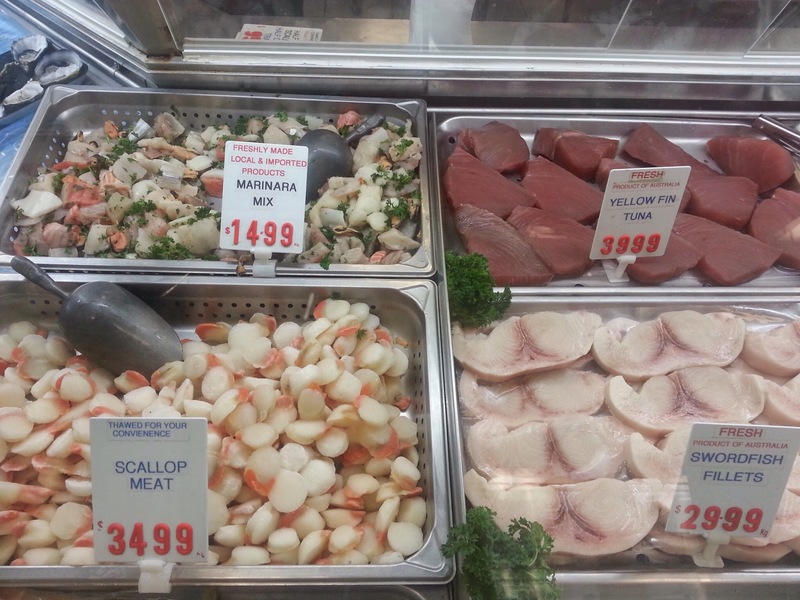 And such dreary puns will be forgiven if you wander, led by your nose, to the seafood section of the market. Both raw and processed, there is a ton of it, including scallops, tuna and fillets of the highly prized King George Whiting. The coup de grace is olive oil tasting, and the synaesthesia of the experience is as aesthetic as, or perhaps finer than, wine tasting. 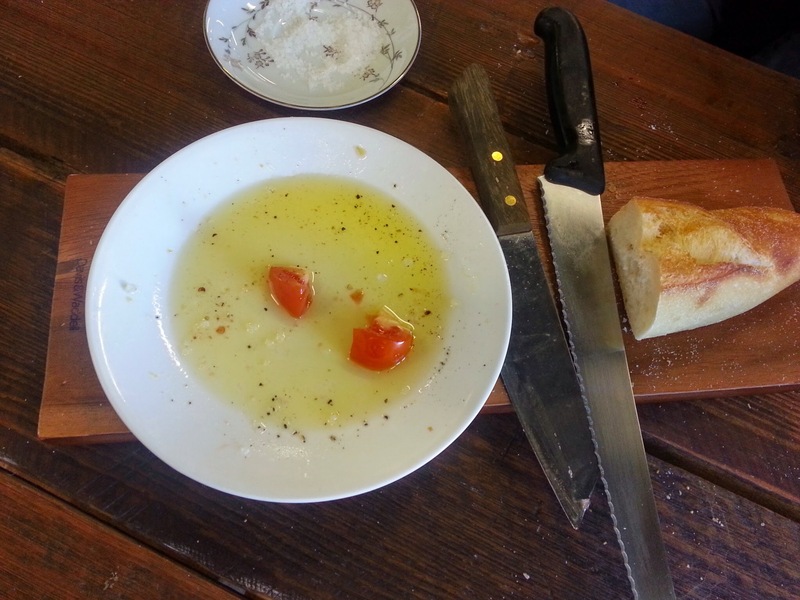 After tasting, the olive oil is enjoyed with fine French artisanal bread and a dash of sea salt, and fresh tomato. What’s a meal sans dessert? And what’s dessert sans chocolate? 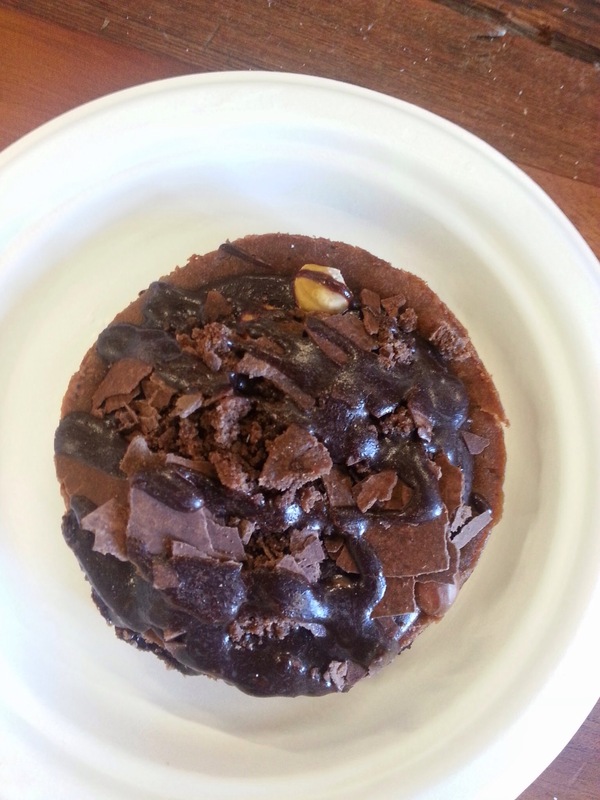 This delectable piece of work is a fusion of inspirations from chocolate, hazelnut and cheesecake. 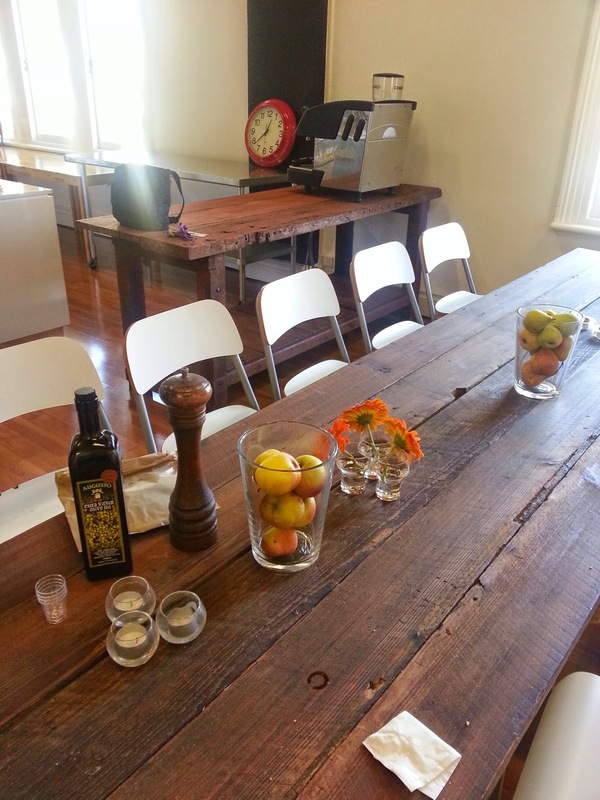 Food connoisseur and chef Mark Gleeson‘s name is synonymous with artisanal cuisine in South Australia. 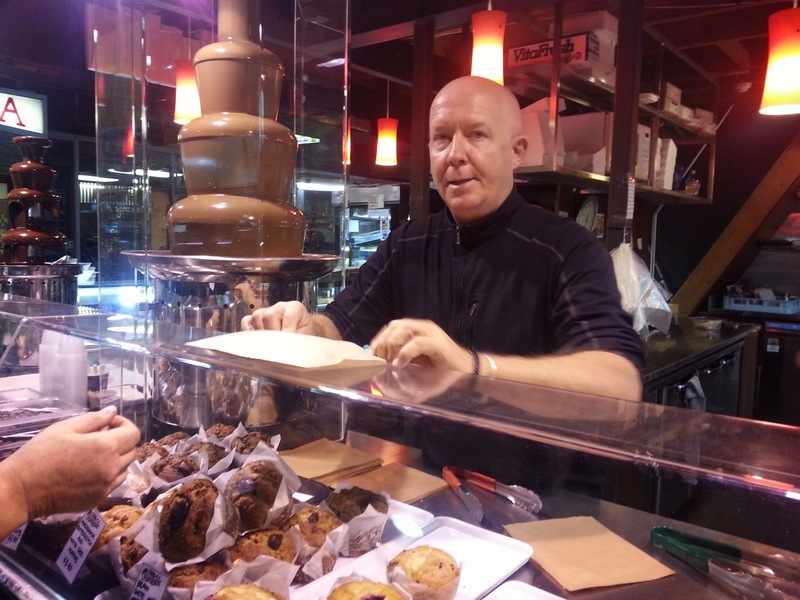 His Central Market Tours are a must-do experience in Adelaide. ← Snorkelling v/s SCUBA diving – what’s your choice?